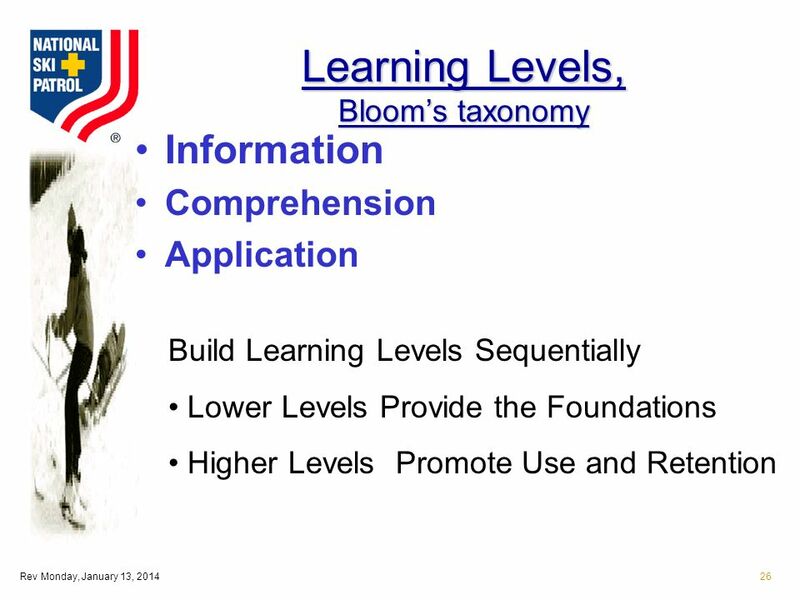 Rev Monday, January 13, 20141 Foundations, Technology, Skills Tools. 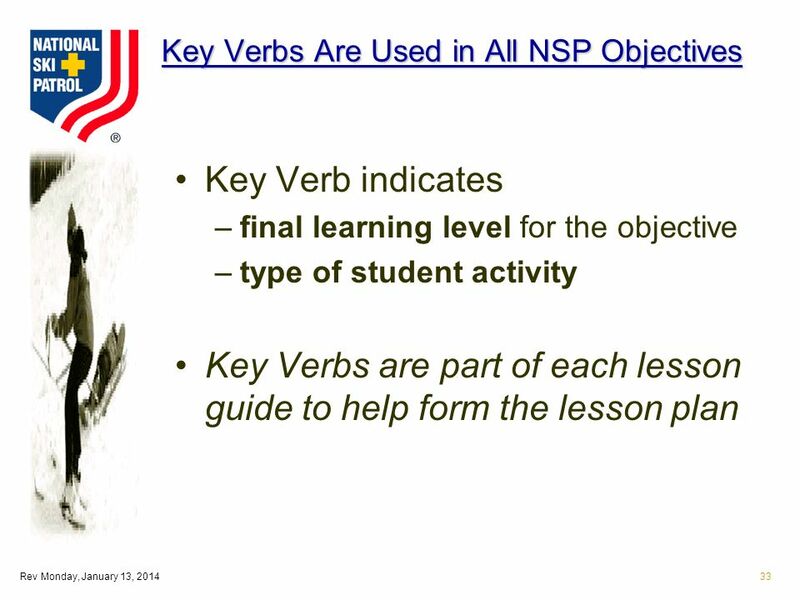 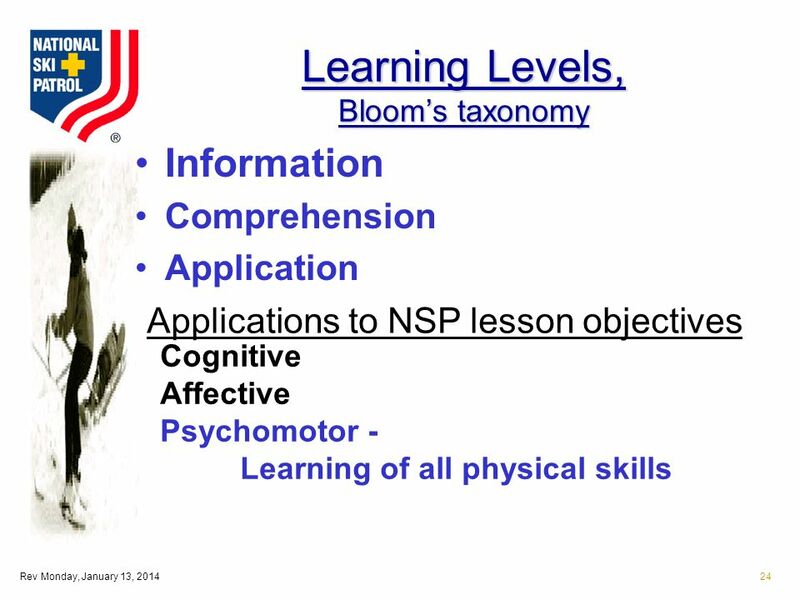 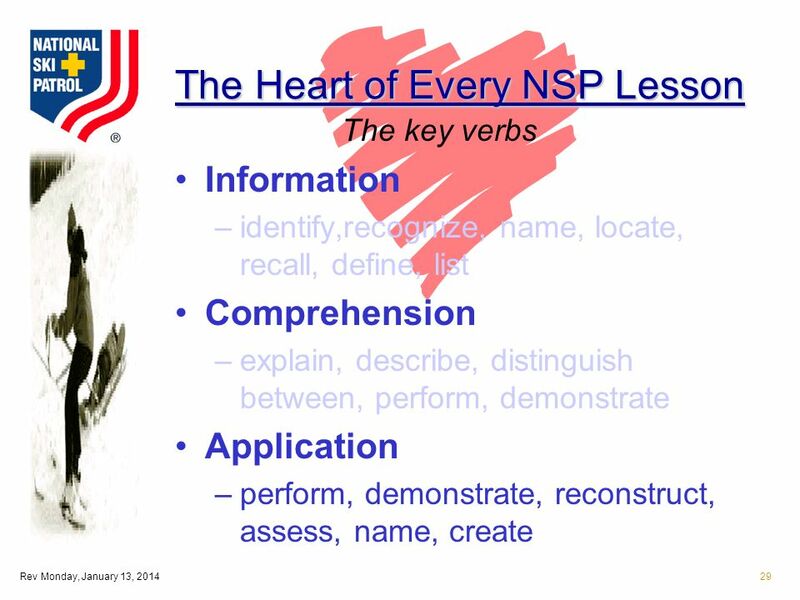 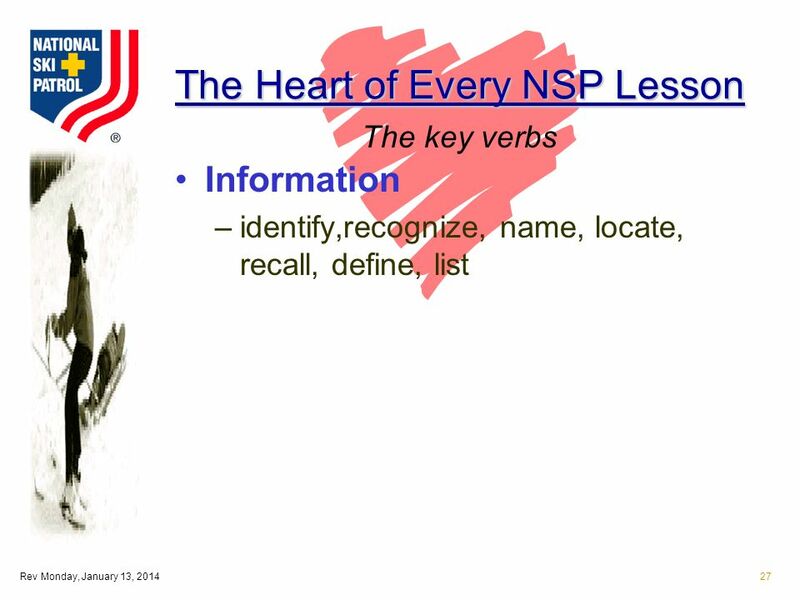 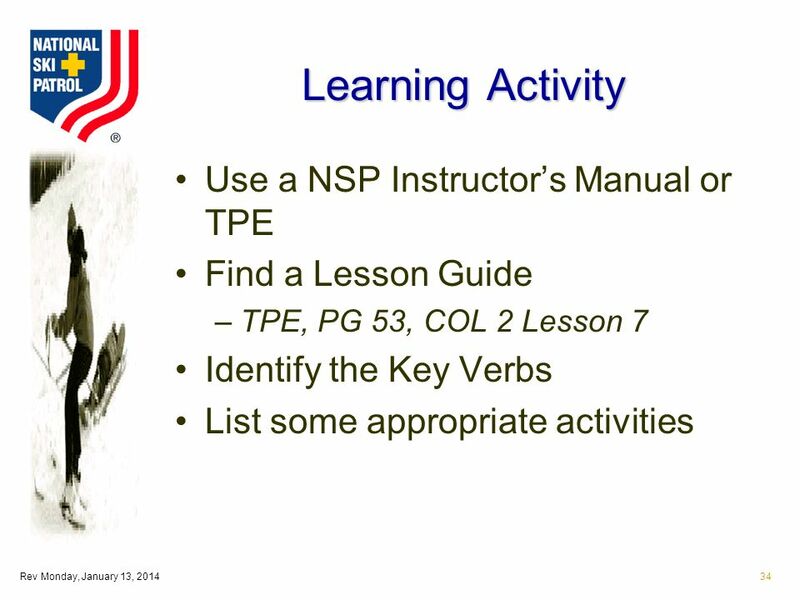 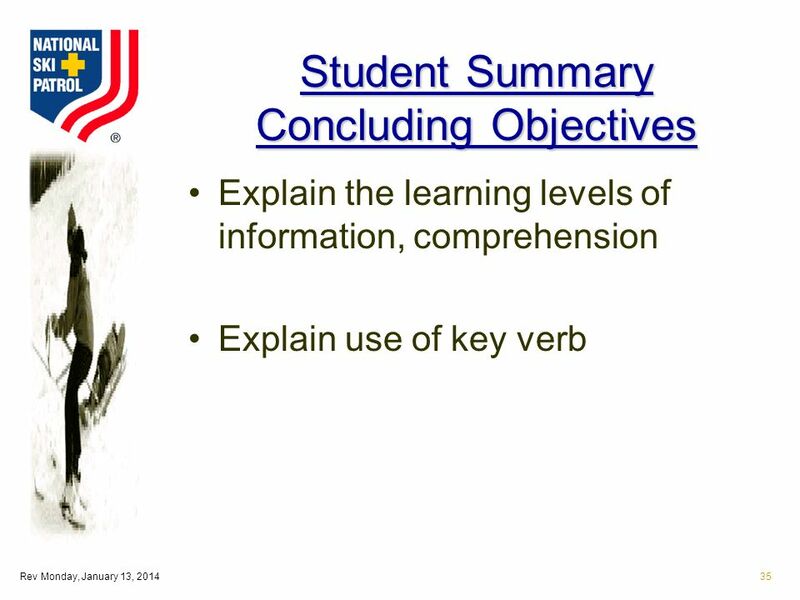 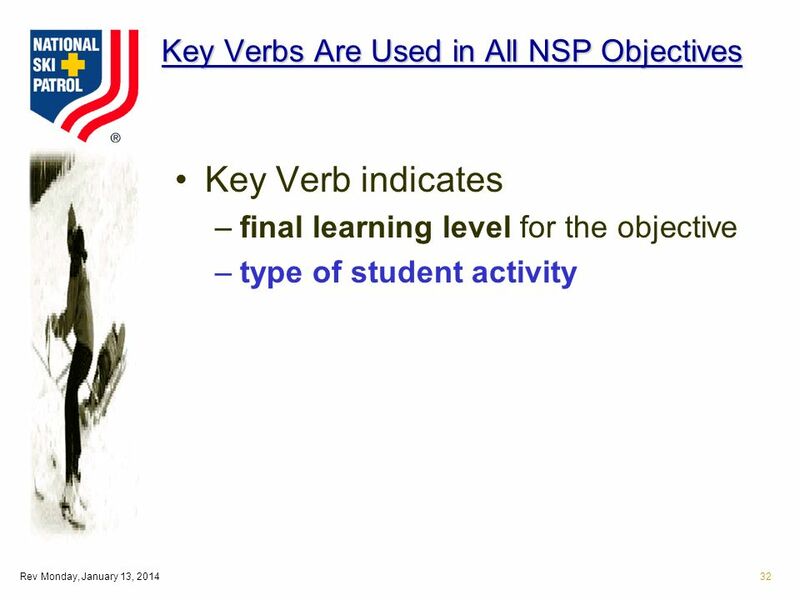 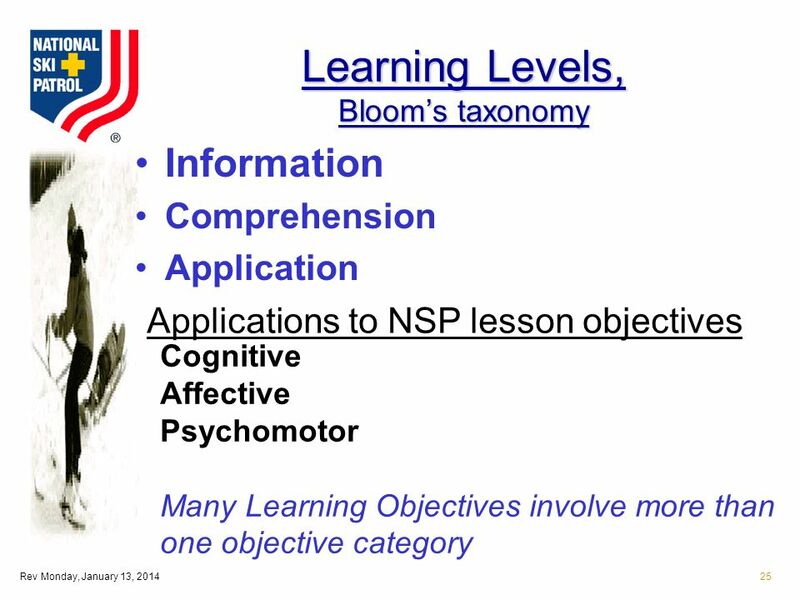 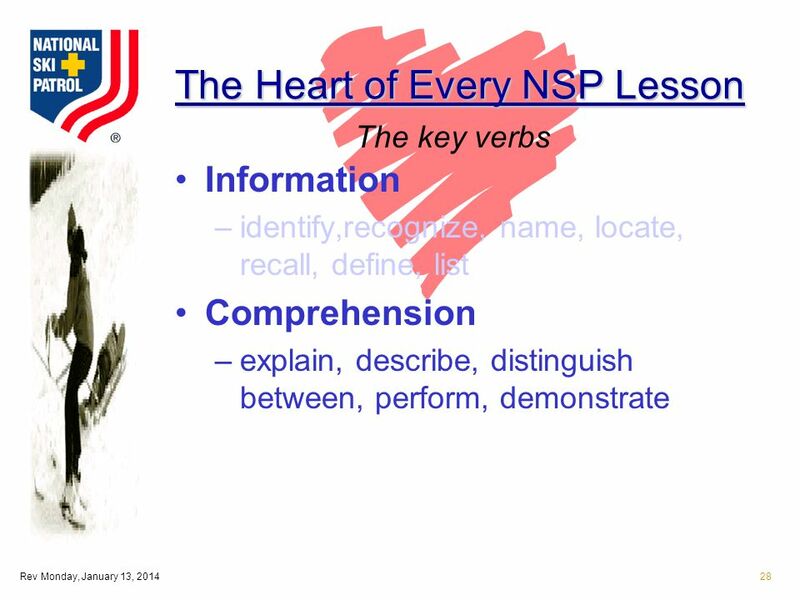 30 Rev Monday, January 13, 201430 Key Verbs Are Used in All NSP Objectives Why? 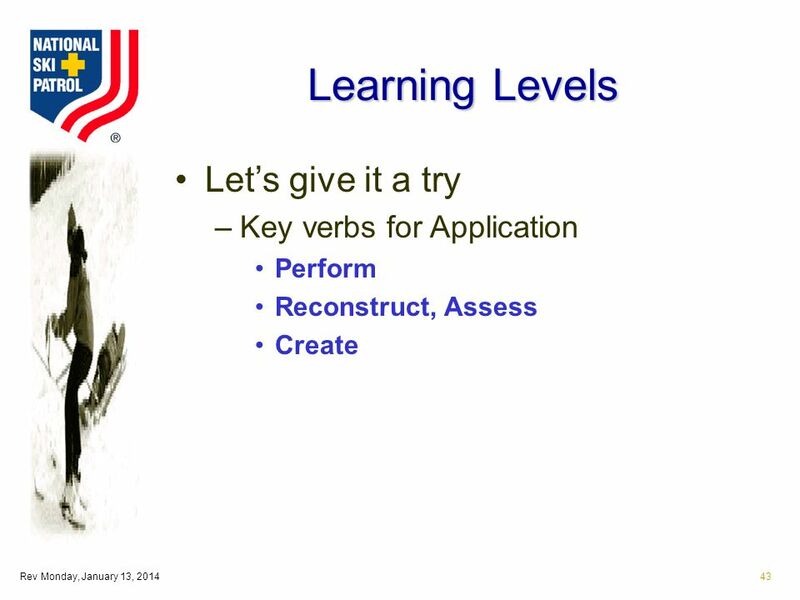 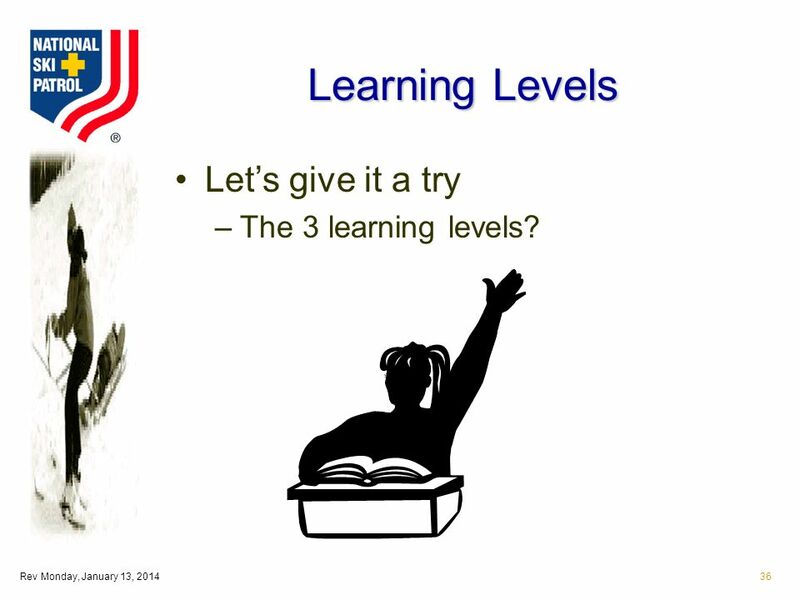 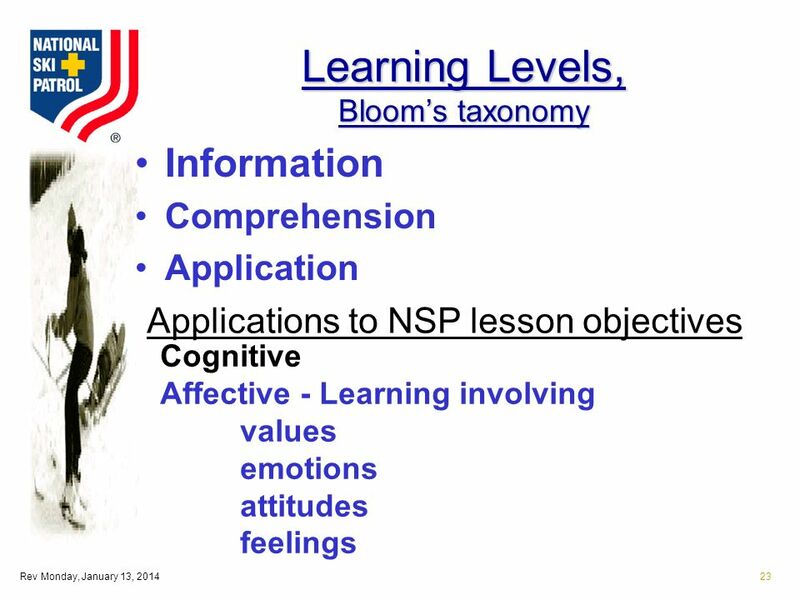 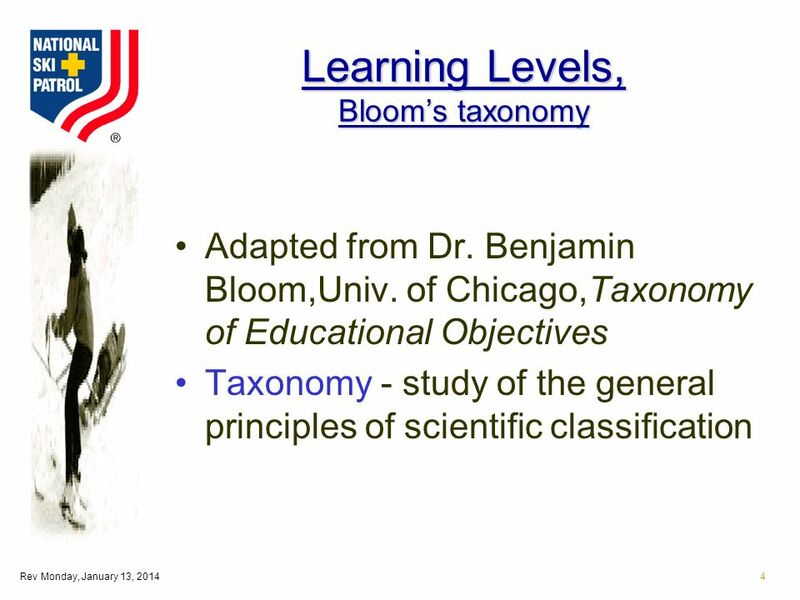 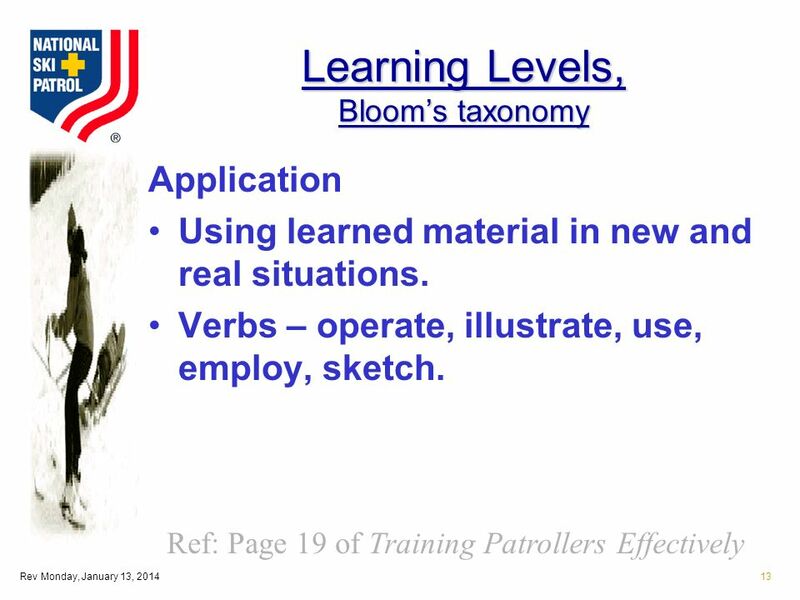 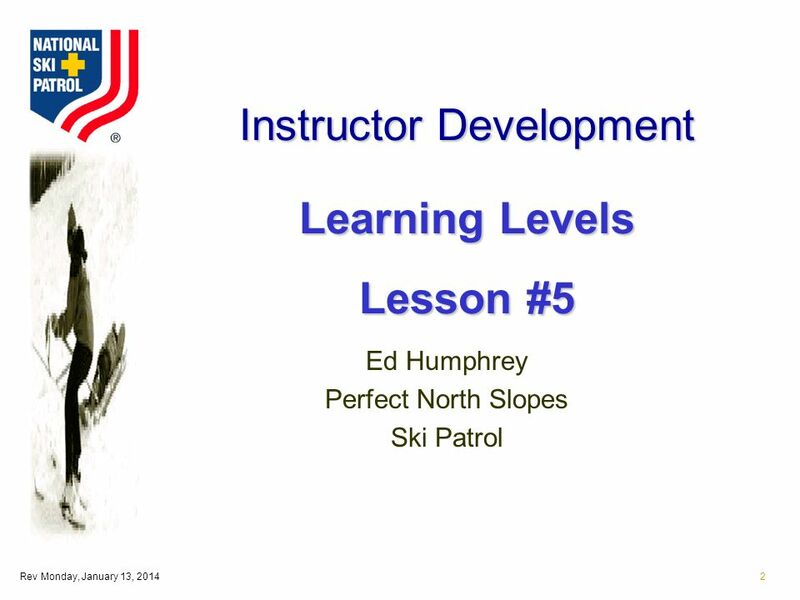 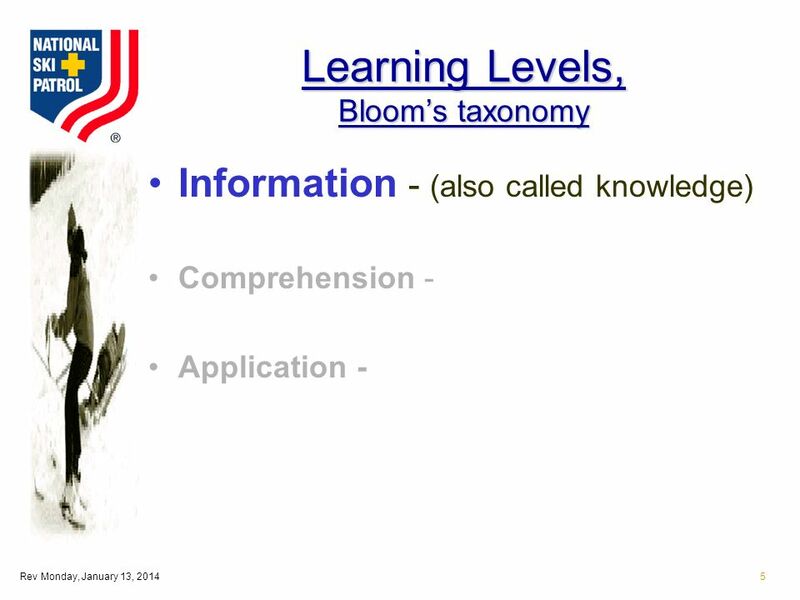 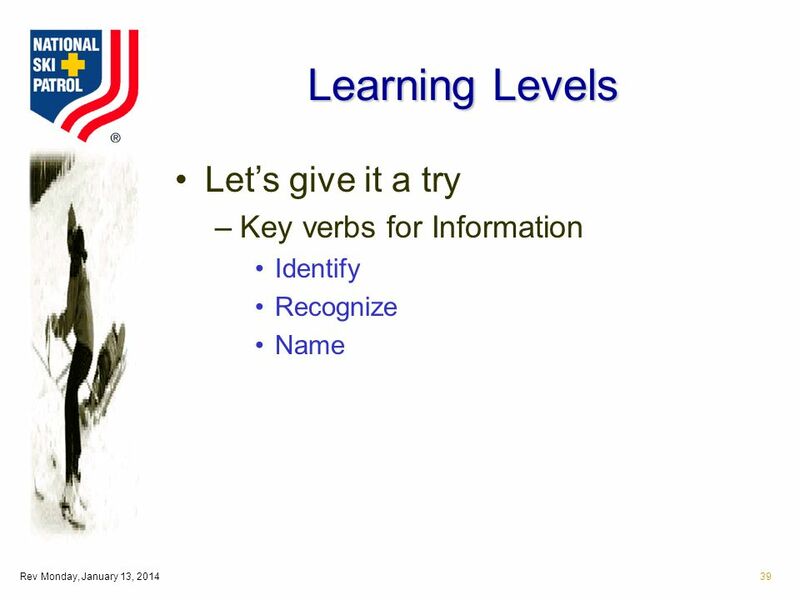 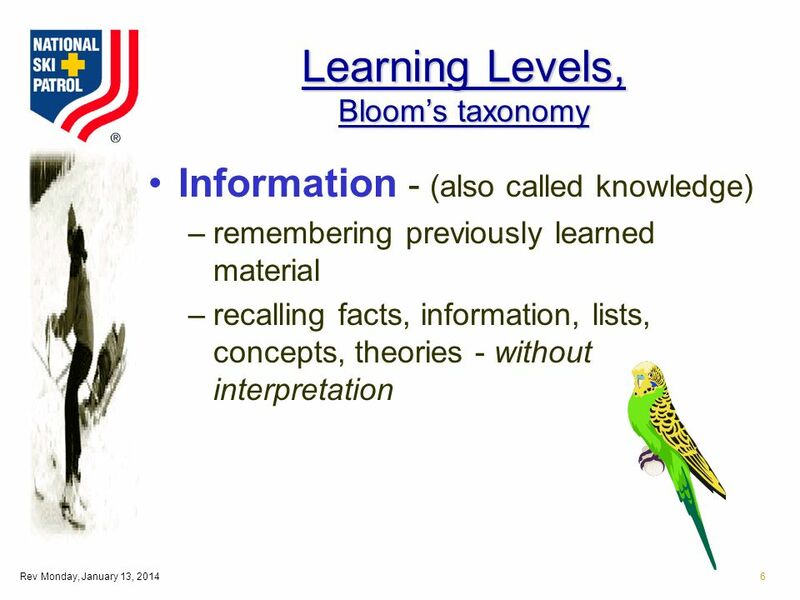 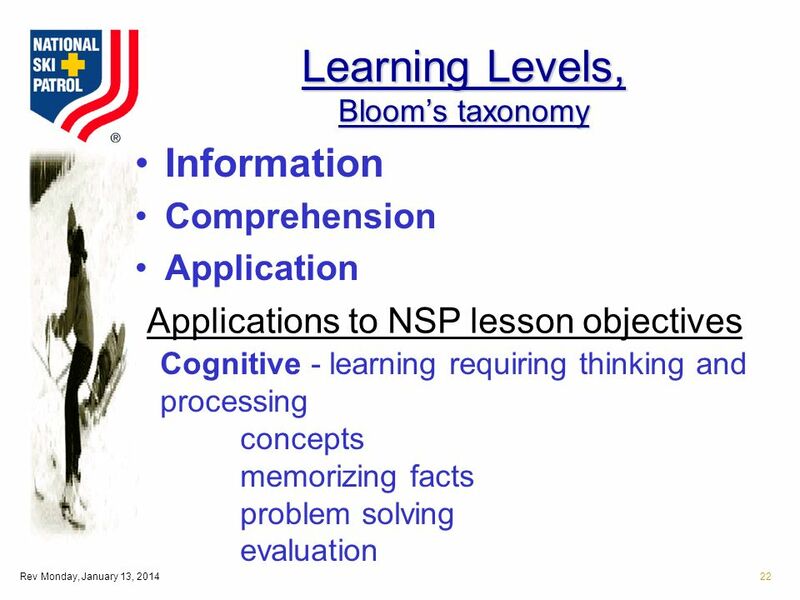 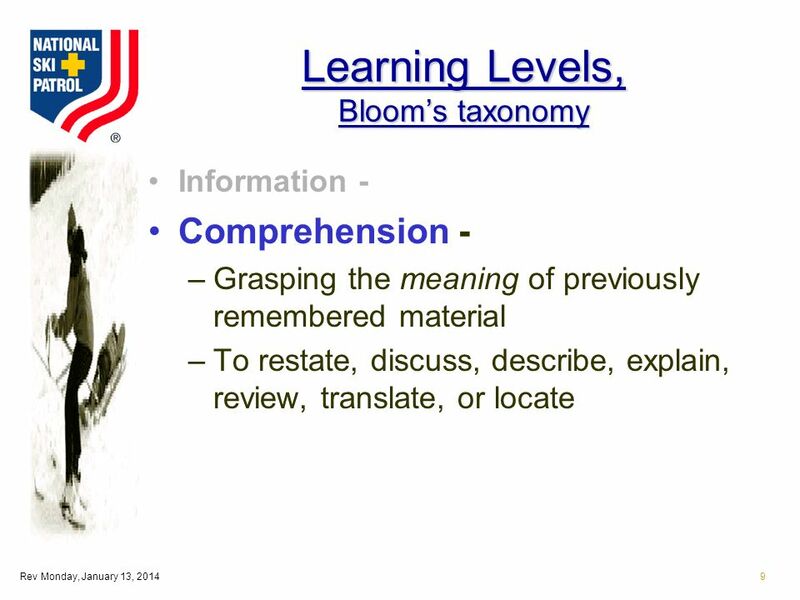 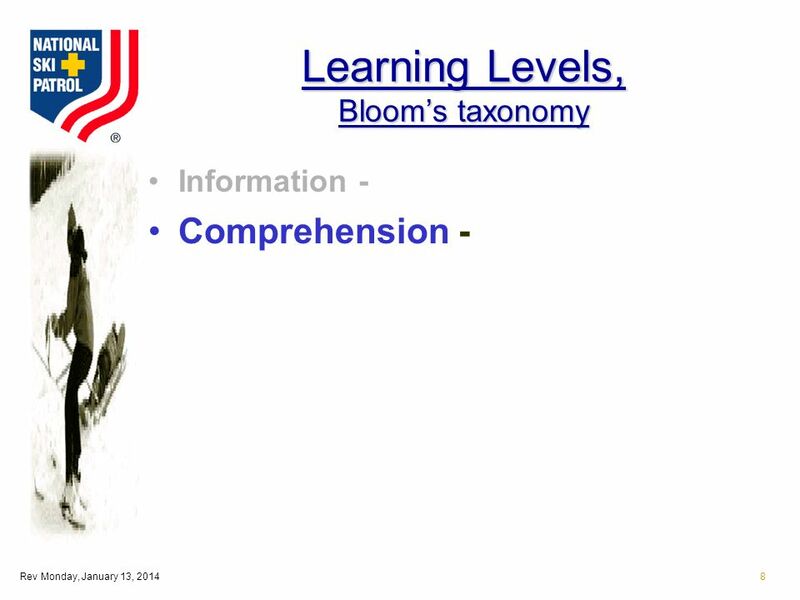 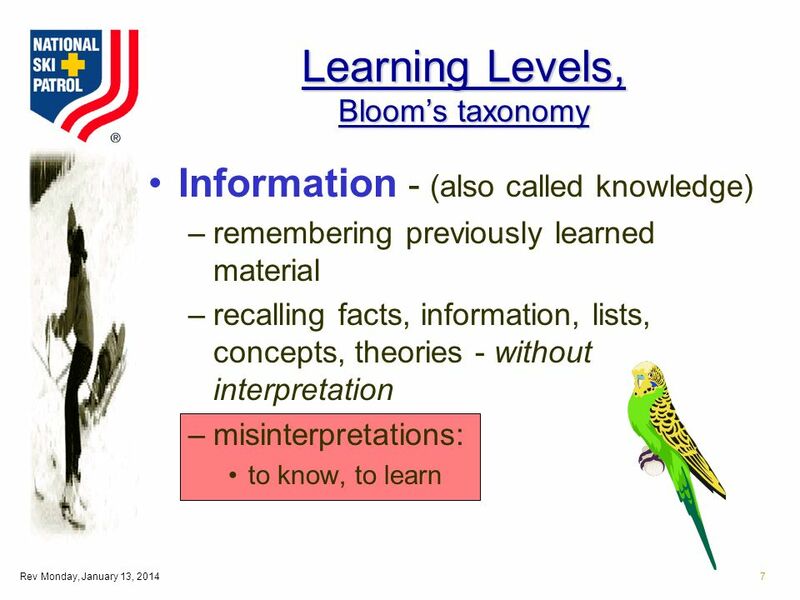 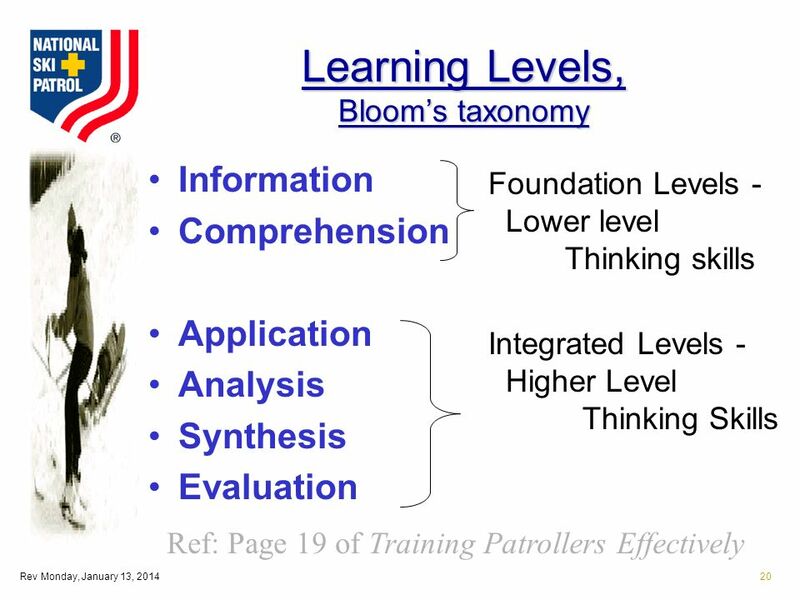 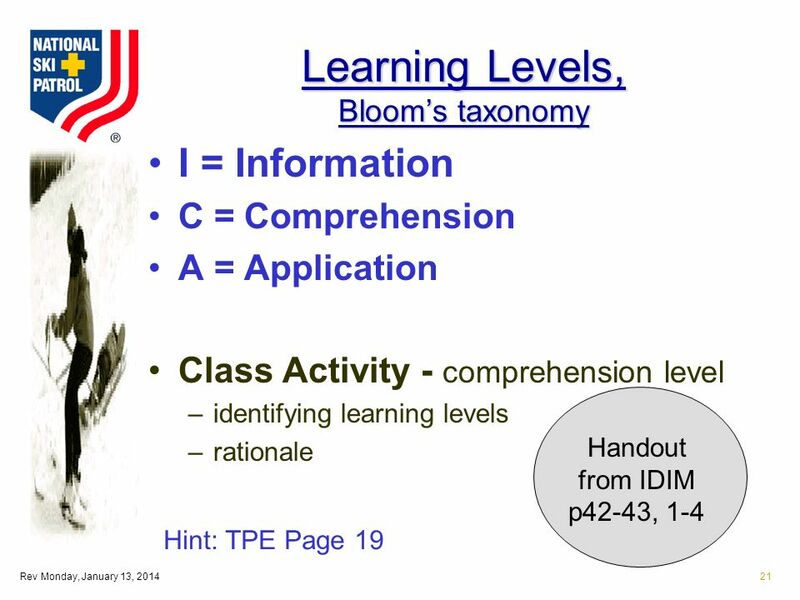 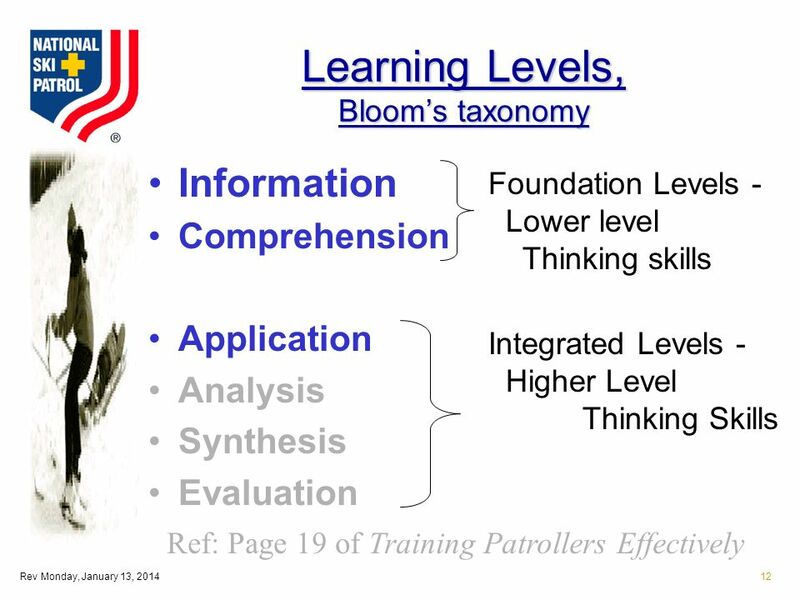 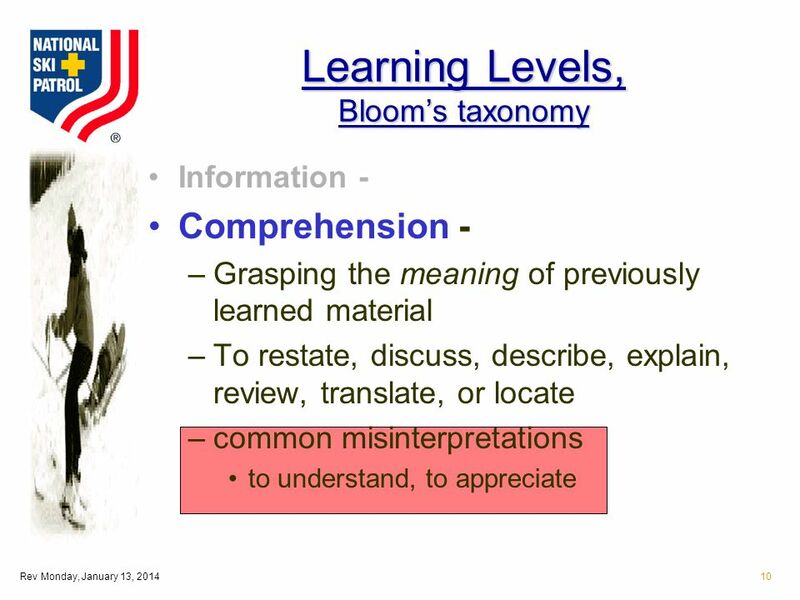 36 Rev Monday, January 13, 201436 Learning Levels Lets give it a try –The 3 learning levels? 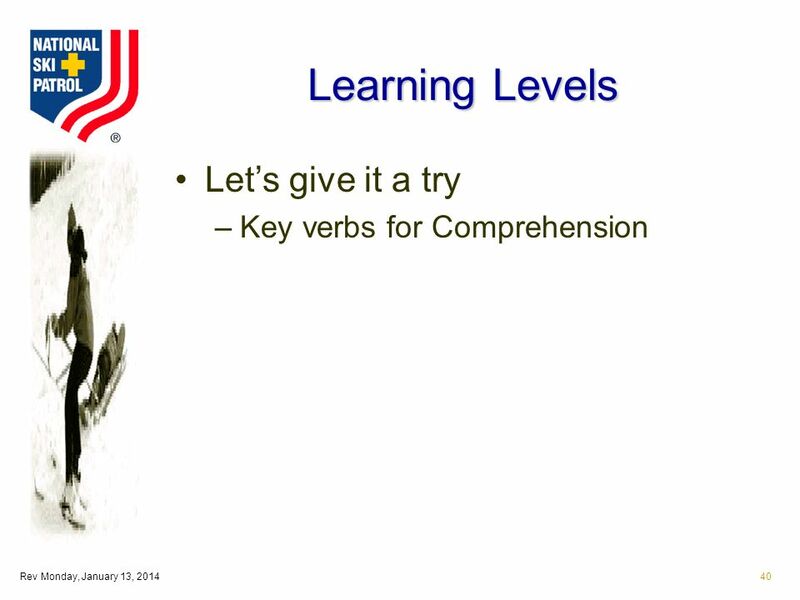 44 Rev Monday, January 13, 201444 Learning Levels Lets give it a try again –Given the following, where did the learning levels stop? 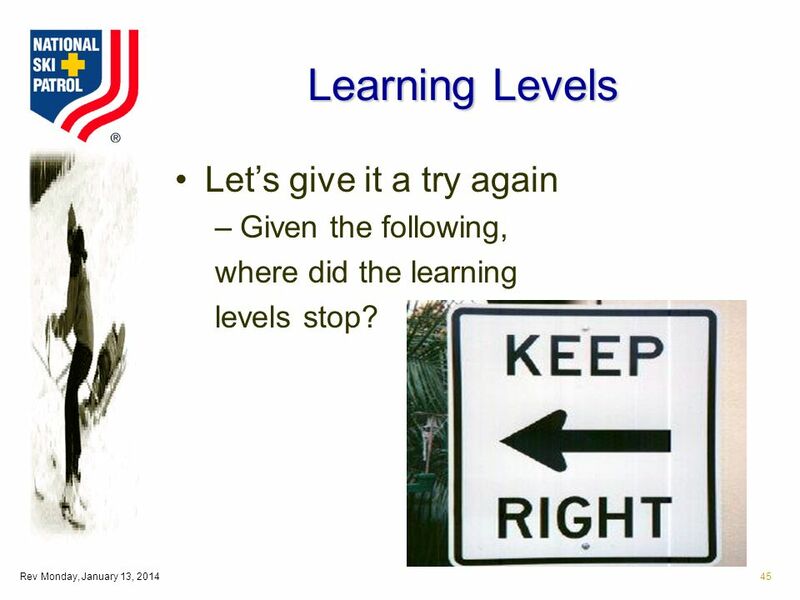 45 Rev Monday, January 13, 201445 Learning Levels Lets give it a try again –Given the following, where did the learning levels stop? 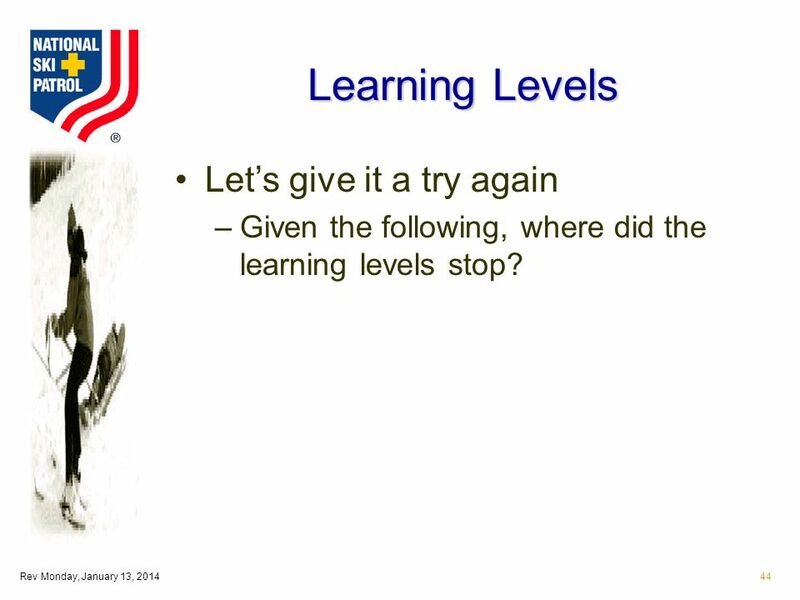 46 Rev Monday, January 13, 201446 Learning Levels Lets give it a try again –Given the following, where did the learning levels stop? 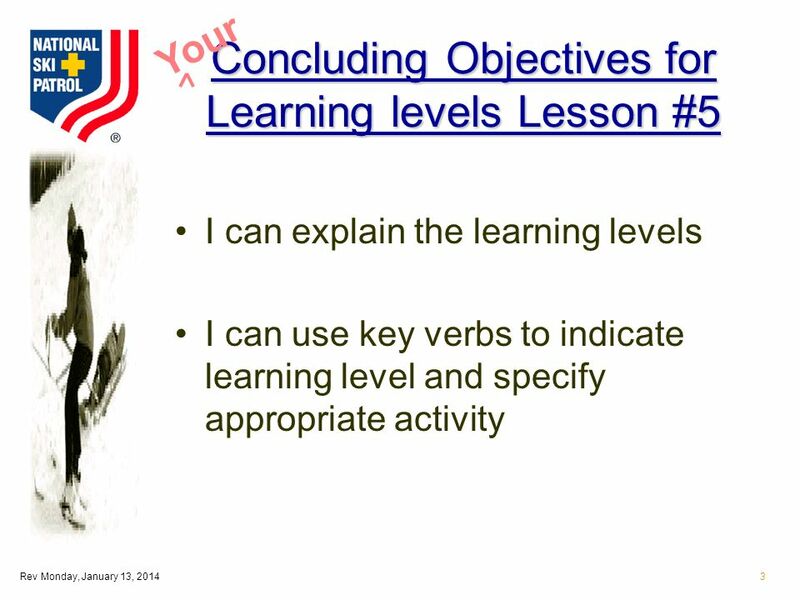 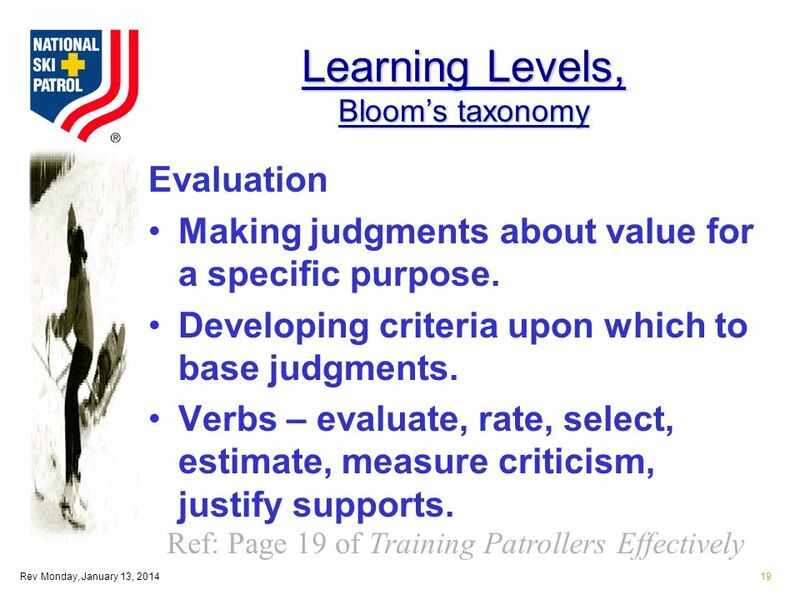 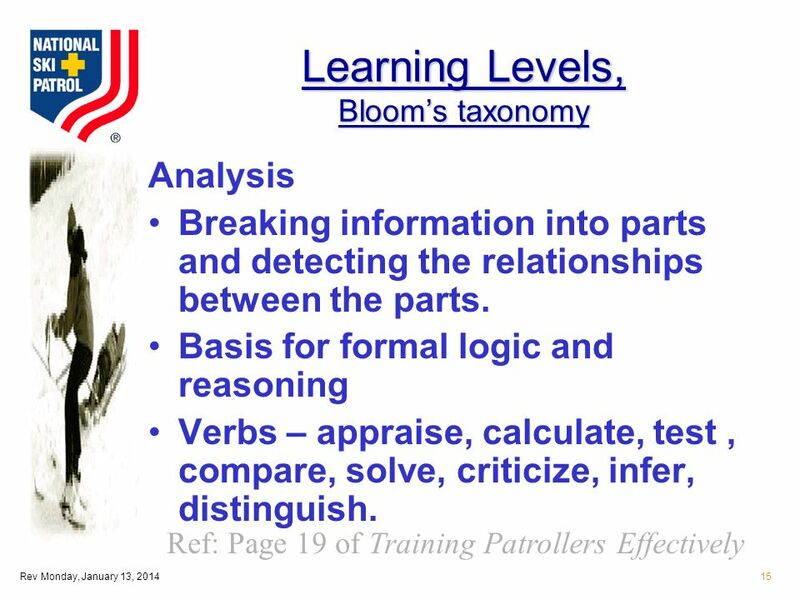 47 Rev Monday, January 13, 201447 Your Evaluation of Lesson #5 Were you able to meet your concluding objectives? Were all your questions answered? 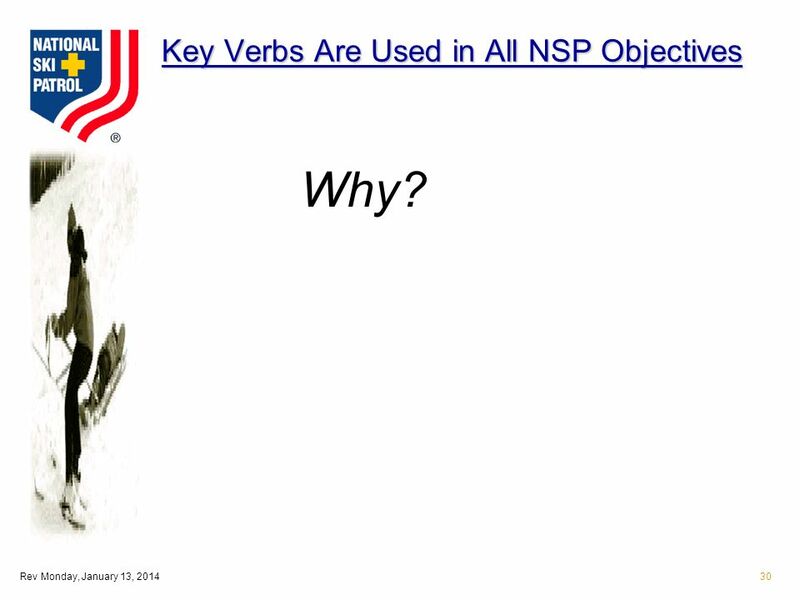 If not, do you know where to look for the answers? 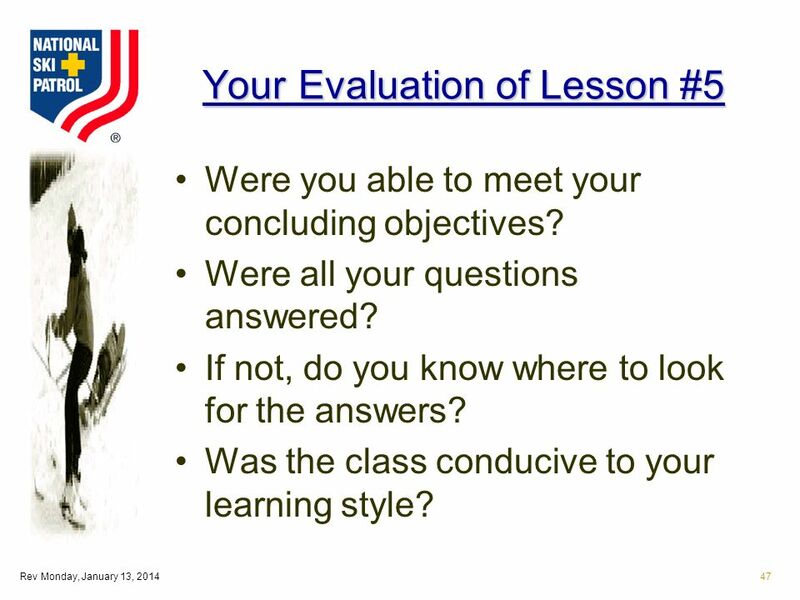 Was the class conducive to your learning style? 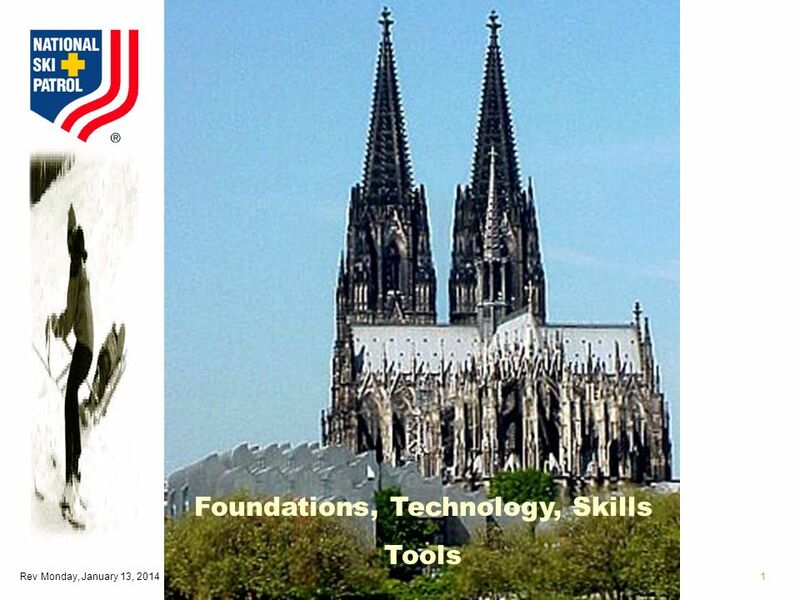 Download ppt "Rev Monday, January 13, 20141 Foundations, Technology, Skills Tools." 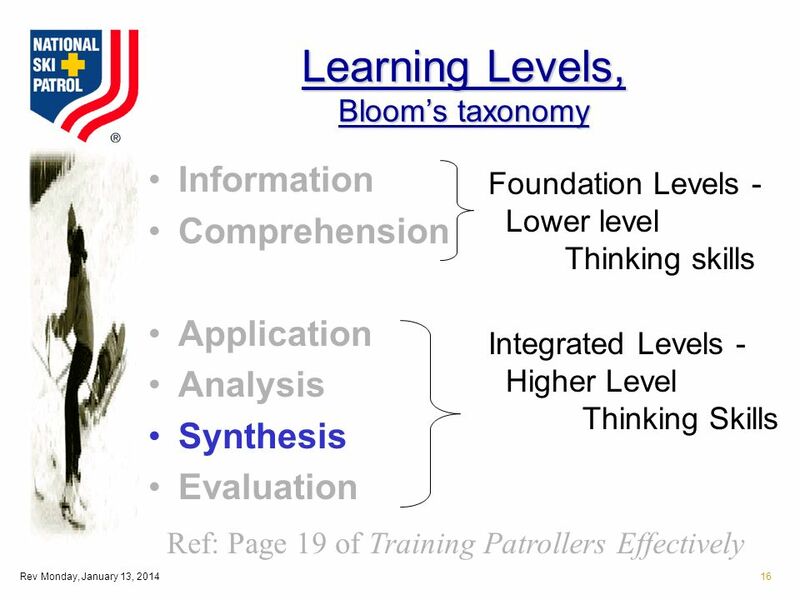 © Dr Kelvyn Youngman, Jan Jaques, Polanyi, & Quintaves Elliott Jaques proposed that we think in one of 4 methods of mental processing, shown here. 6/13/20141 Thin Brick Faced Precast ASV Ladysmith, Virginia American Stone Virginia, LLC. 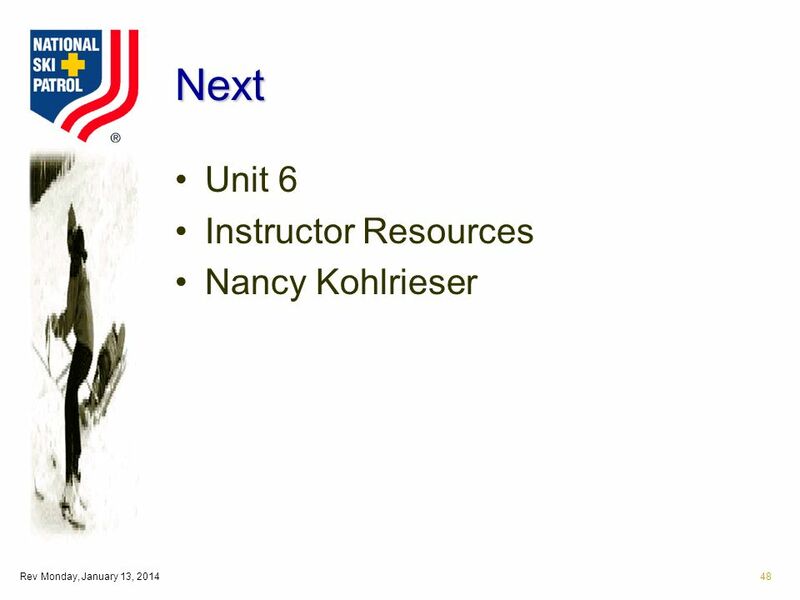 8/25/ Click on Member Billing Icon 2 8/25/2014 Recent Updates to the Program 3. 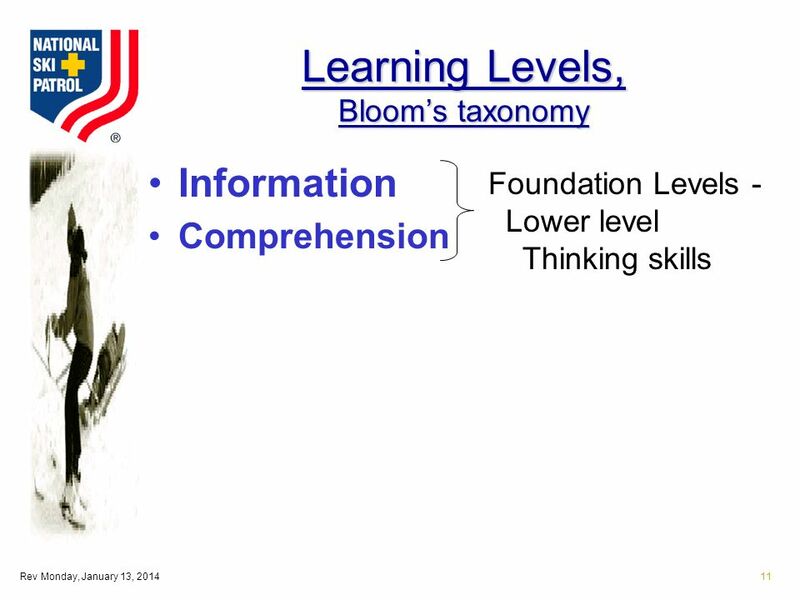 2010 Arizona English Arts Standards 9/1/ Goals: Participants will understand the difference between cognitive demand, Bloom’s taxonomy, Webb’s Depth. 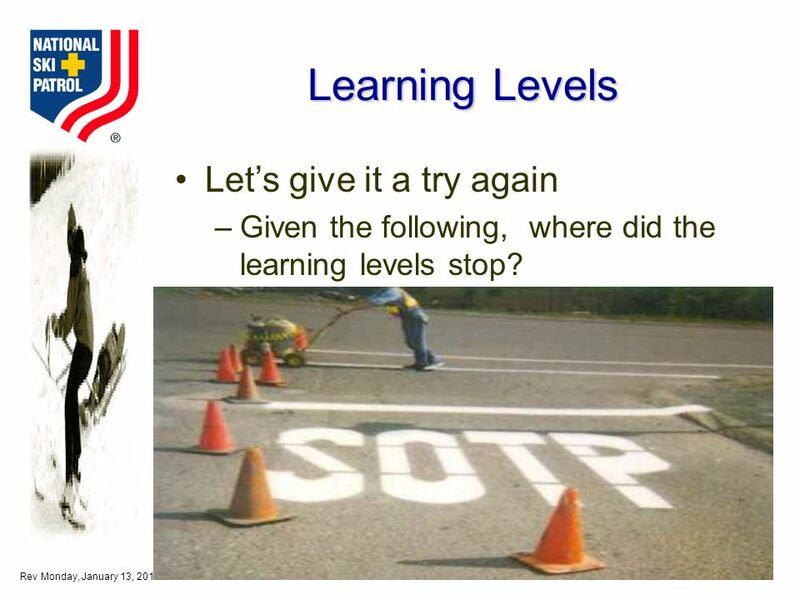 Pengukuran penyakit dalam populasi 3/2014 DISIAPKAN OLEH PROF. DR.DRH.PRATIWI, TS. 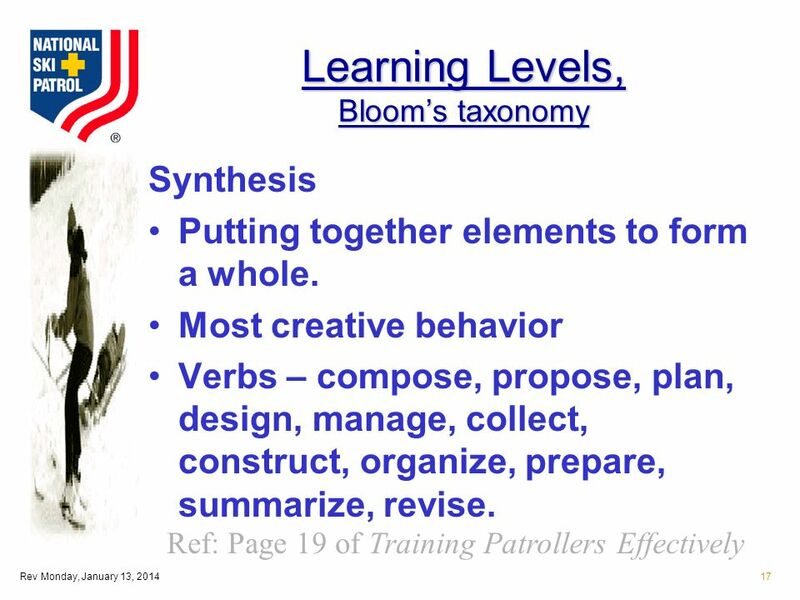 MS DRH.ROSITAWATI, I. MP 2/22/2014PTS-RST-PKH-3 -20141.